There are no substitutes for experience, ability and name recognition. Thirty published appellate opinions get instant recognition with both judges and prosecutors — they do not want to see their names in a published opinion, violating your rights! Select your attorney very carefully, using the same caution and prudence as if you were selecting a brain surgeon. When you hire Mr. Shemaria, he is available to you, within reason, 24/7. You deal with your lawyer, not a middleman. Your case is important to us as it is to you. We were hired to take the pressure off of you, and we strive to keep you abreast of every development on your case. We are in this case together! Not all lawyers are created equal. Some just jumped in when the internet became a way to build a practice. Others, like Joseph Shemaria, started specializing in criminal defense since 1970 — the internet simply presented a new way to market his many accomplishments and 31 years of criminal experience. He has had the highest peer-review rating through Martindale-Hubbell since he was first rated in the mid-1970's. He was certified by the California State Bar, Board of Legal Specialization (via examination and inquiries of judges, prosecutors and defense lawyers) on Aug. 7, 1979. Only a very few of all of the criminal defense attorneys in California have the name recognition one gets with 30 published opinions! Fewer yet are honored to be in Martindale-Hubbell's "BAR REGISTER OF PREEMINENT LAWYERS." 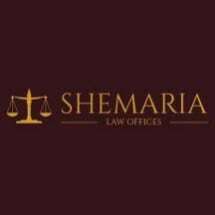 Mr. Shemaria has devoted his entire legal career for over 30 years toward fine-tuning and improving his knowledge and skills in the federal and state criminal arena, trial and appellate. Mr. Shemaria earned his reputation with years of dedicated hard work, constant research and working in the trenches. He gets the "discovery" materials from the prosecuting agency, interviews his client to know what priorities must be set in the investigation (before the favorable evidence "disappears") and gets the ball rolling to catch up with law enforcement's investigation (which is usually done by the time of the arrest). Bail arrangements and/or motions are extremely important if the client did not voluntarily surrender with a guarantee of an "own recognizance" or "personal surety" bail (or "bond") arrangement. After thoroughly studying the government's case, Mr. Shemaria will proceed to pick it apart, looking for the weakest link. Then, while working on that link, he will proceed to bury the government with as many legitimate motions as the Constitution of the United States and the laws of the state where the case is being prosecuted will allow. No stone is left unturned! He gets the results clients want through zealous, thorough preparation. The result one gets is often determined by the investigation the defense lawyer does in the first few weeks from the time the lawyer is retained. If results are what you want, then you should consult and compare criminal attorneys. Get one who thinks outside of the box or you may find yourself in one! Mr. Shemaria does not charge for interviews/consultations. He is, and always has been, on the cutting edge of new frontiers in criminal law procedure and strategy. Good luck, and I hope to hear from you!